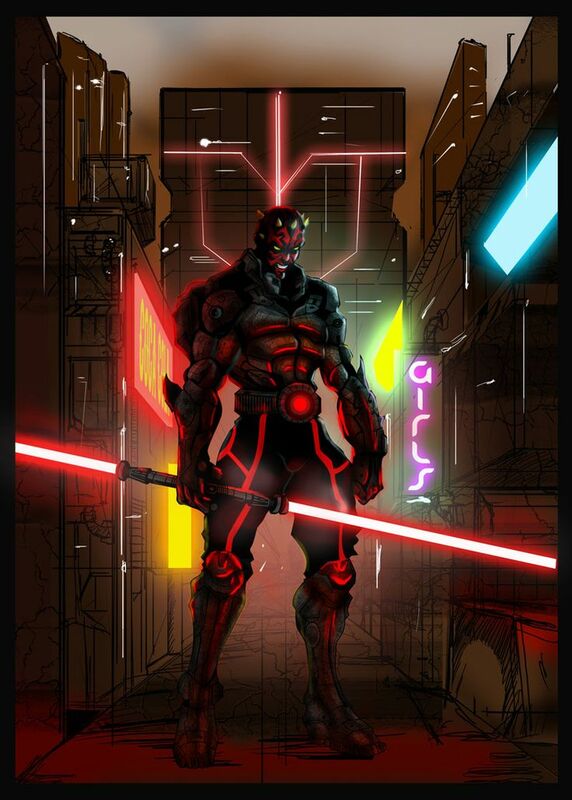 Every fan of Star Wars has seen a few types of Lightsabers throughout the movies and video games. Here are some of the more common Lightsabers as well as many that haven't been introduced to the movies. This Lightsaber is the most basic type. It contains only the inner workings to make it function as well as whatever cosmetic changes the wielder wishes to add. Used by most Jedi and Sith, this is the weapon that comes to mind when someone says the word Lightsaber. This is the newest addition to the Star Wars universe. 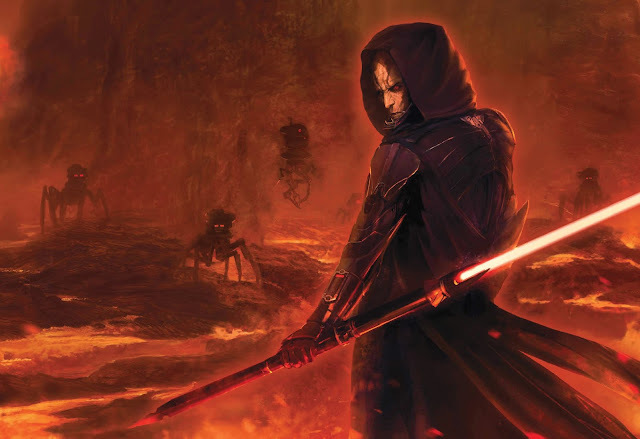 Unique to Kylo Ren, this Lightsaber has the ability to inflict pain to the wielder's opponent while saber-locked by using the side blades. Made famous by Darth Maul, the Double-Bladed Lightsaber has been a fan favorite for many. 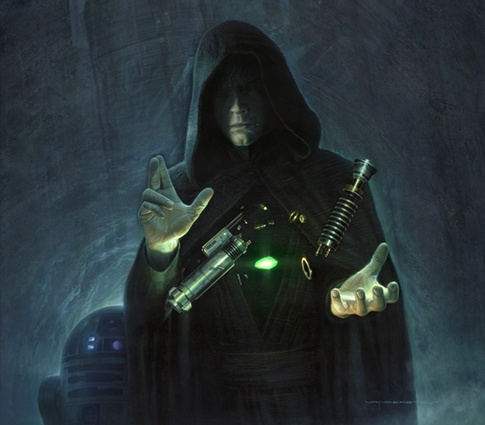 This Lightsaber has been available in many games and had many mentions in the Legends books. 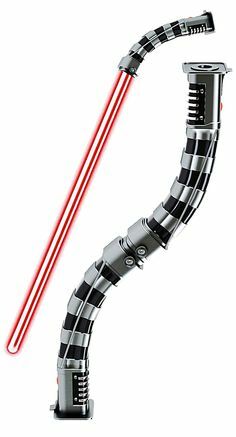 An alternate version of the Double-Bladed Lightsaber, the Inquisitor Lightsaber has the ability to rotate around the handle while the wielder can keep his/her own movements to a minimum. A popular move with this Lightsaber is to throw and retrieve it using the Force. 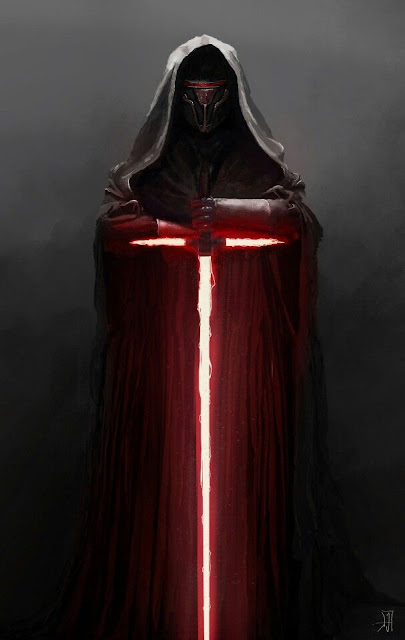 This Lightsaber has only been seen in the hands of the Inquisitors. The Lightsaber Pike trades blade-length for reach. More of a ceremonial item, the Pike is not a common Lightsaber variant, but is unique with its handle being much longer than a normal Lightsaber, and is still used in Legends. The Light Whip is a very difficult weapon variant to master. The speed in which the Lightwhip can move makes it a very dangerous weapon to fight against. Without proper training, a skilled wielder of a Lightwhip can make quick work of his/her enemies. Known for its shorter blades and handle variants, the Guard Shoto Lightsaber variant is mainly used by assassin-type and quicker wielders. It's made for fast attack and guarding. 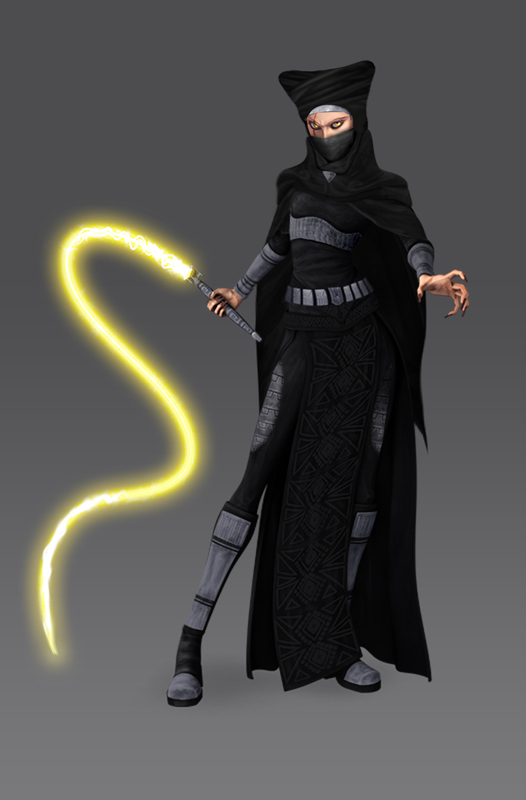 Maris Brood is seen using this variant in Star Wars: The Force Unleashed. Created by Ezra Bridger in Star Wars Rebels, the Lightsaber Blaster is able to function as a normal lightsaber, and when held upright, can be fired at enemies. The Curved-Hilt Lightsaber creates alternate gripping options. Count Dooku uses this variant, and proves it to be a very effective type of Lightsaber to master. 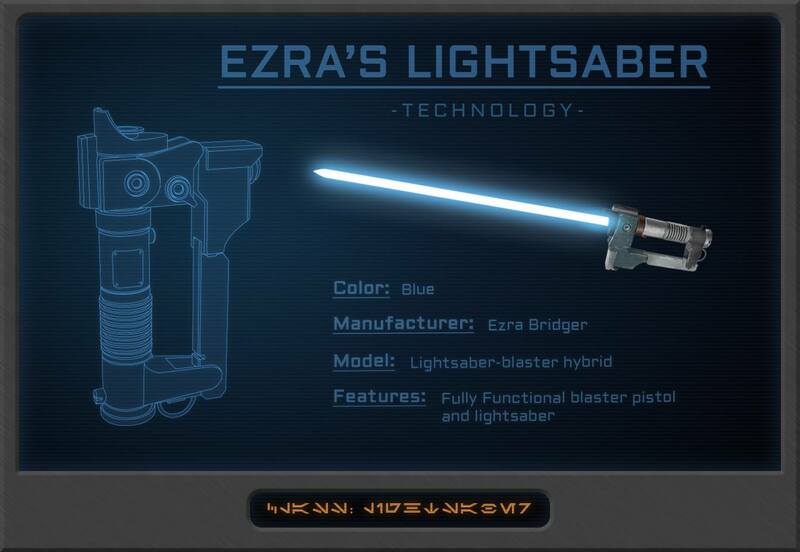 This variant is present in both the Canon and the Legends as a semi-common alternative to the traditional Lightsaber model. 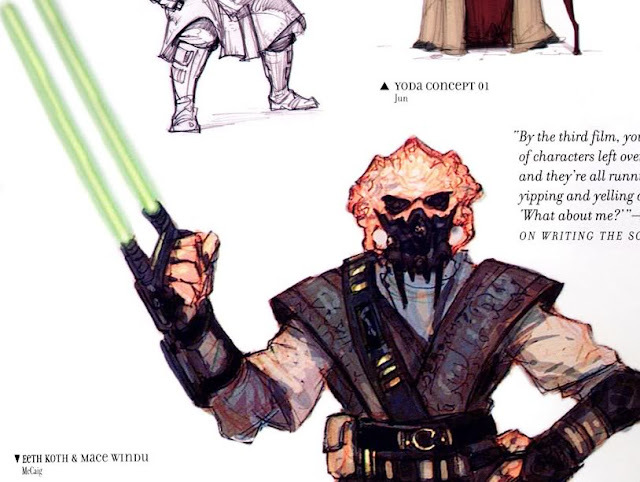 The Wrist-Saber was a concept that was supposed to be wielded by Plo Koon in Episode III, but the idea was scrapped, and the Wrist-Saber was never shown in movies. 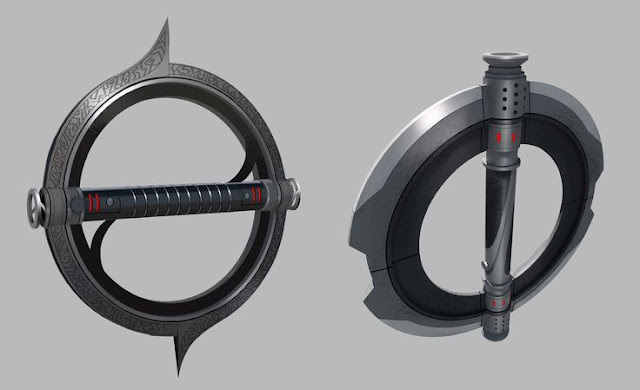 Artists renditions of different Wrist-Saber variants show hidden blades that could be used in assassinations and for sneak attacks. 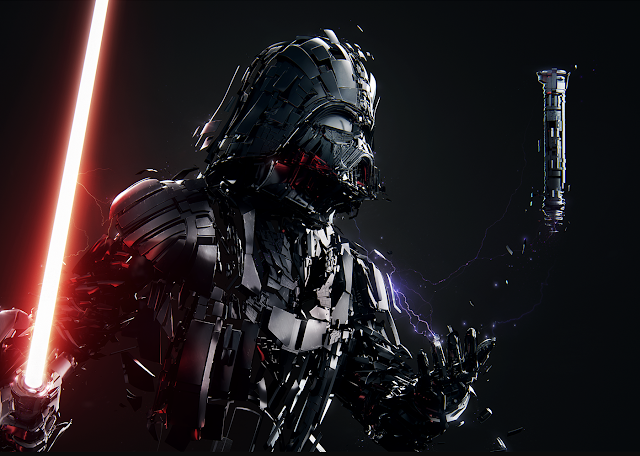 These are all of the Lightsaber variants I have to share for today.